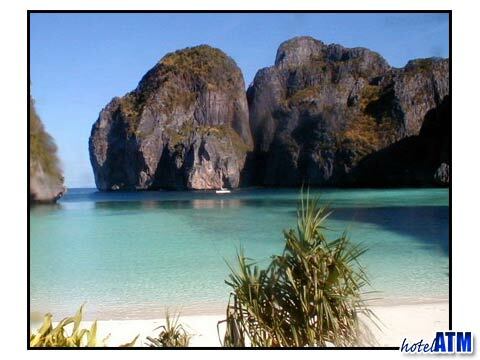 The production team for “The Beach” starring Leonardo DiCaprio, landed on Phi Phi Le Island in Thailand late 1998. The producers of “The Beach,” Andrew Macdonald, choose the Phi Phi Islands because of the breath-taking cliffs surrounding the beach like a fortress. It appealed to Leonardo DiCaprio as well as the other actors in the film. Phi Phi Island is located in Krabi Province in southern Thailand. 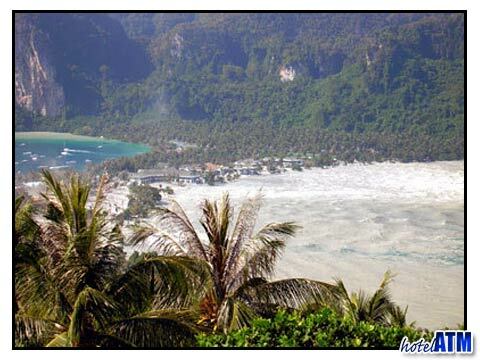 It is made up of two Islands, Phi Phi Don and Phi Phi Ley – famous for their spectacular landscapes. Phi Phi Ley is uninhabited and flawless. Boats from the larger island, Phi Phi Don, transport tourists to Phi Phi Ley to see the famous Phi Phi Viking Cave (known for its swiflet nests used for bird nest soup). Phi Phi Ley is also noted for the incredible diving and snorkeling excursions that many find to be the best in the world. Leonardo DiCaprio, the production team and 20th Century Fox had no idea that by filming on Phi Phi Ley Island – they were adding to a brewing environmental controversy over coral damage, over-fishing and overall damage caused by an increase in tourism. 20th Century Fox’s plan to make changes to the great crescent of beach inside Maya Cove on Phi Phi Le Island and to the extravagant beauty of Loh Samah, a snorkeling spot that many believe to be one of the most beautiful places in existence; had many in an uproar. However, much to the contrary, these rumors were dispelled by Anne Miller and Robert Cogen, National Coordinators for Reef Check, a non-profit, global project to monitor coral reefs world-wide. In fact, they found that before production began, movie crews had removed all the trash and debris that had accumulated on the beach and in the water. Any “movie-related” construction was done so that it could be easily dismantled and removed, and all natural environmental gifts to the island like driftwood, brush and grass were left in place or were being tended to at a local Phi Phi Island nursery. No coral was damaged and no sewage from catamarans was pumped into the water. The commotion regarding the environmental issues on Phi Phi Le Island caught the attention of Leonardo DiCaprio. While shooting the film “The Beach,” on Maya Bay Phi Phi Ley Island, Leonardo DiCaprio expressed an interest in Reef Check and Reef-World (training arm of Reef Check). DiCaprio wanted to become involved in helping the community of Phi Phi Le Island to protect local resources. He actually joined one of the training courses in order to gain a clear understanding of the issues. Leonardo gained valuable information about initiatives to protect the reefs of Phi Phi Le Islands. In 2003, Leonardo DiCaprio co-chaired Reef Rescue a benefit for UCLA’S Reef Check Program. Founded in 1996 by marine ecologist Dr. Gregor Hodgson, the Reef Check Foundation is an international non-profit organization dedicated to conservation of two ecosystems: tropical coral reefs and California rocky reefs.